12 New Hyundai Cars Coming to India By 2018! 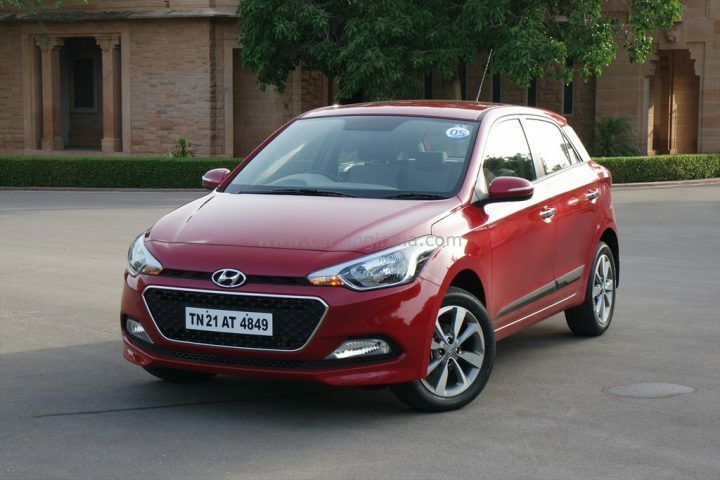 The Elite i20 has been among the most successful products from Hyundai Motor India Ltd till date. The manufacturer is now readying a facelift of its premium hatchback to further enhance the appeal of its upper-B segment hatchback. The 2017 Hyundai Elite i20 is likely to launch in May, 2017. While prices of entry-level models are likely to go down, the top-end Asta(O) trim could cost considerably more. Engines will be carried over from the present model. Yes, the Hyundai Santro could stage a return. And rumours abound that the new Hyundai Santro launch could take place as early as in second-half of 2017. 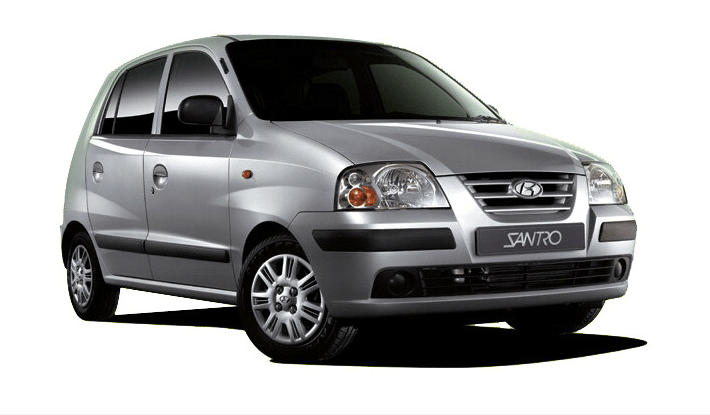 The new Santro will rival the Maruti WagonR, the Maruti Alto K10 and the Chevrolet Beat. We believe that the 2017 Hyundai Santro prices would start at roughly INR 4.00 lakhs. One of the most awaited upcoming new Hyundai cars in India, this one. It could replace the ageing i10 hatchback. Hyundai has been present in almost all the segments of the mainstream car market. However, one segment where HMIL has been rather conspicuous by its absence is the compact SUV segment. 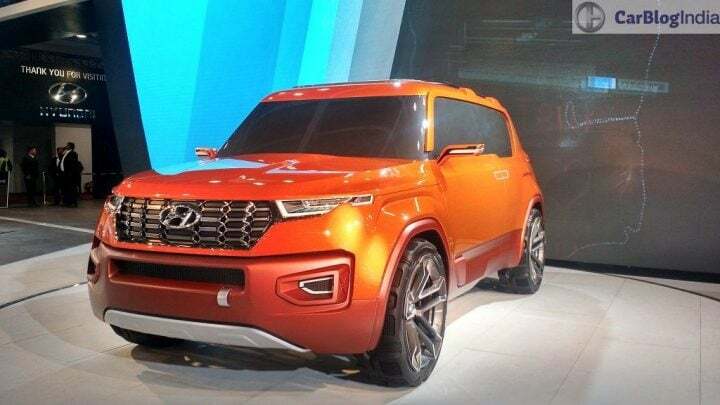 However, now, in order to take the fight straight to the likes of Ford EcoSport and Maruti Vitara Brezza, Hyundai has been readying a compact SUV that made its concept debut at the Expo as the Carlino. The Carlino Sub 4-metre Compact SUV launch will take place around the end of 2017. The Hyundai Carlino price could start at little above INR 6 Lakhs. 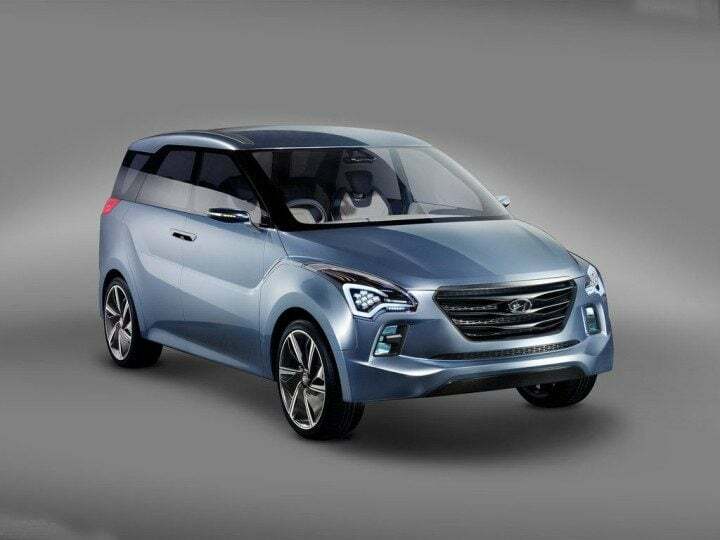 Another new upcoming Hyundai car in India is a small MPV from HMIL. The upcoming Hyundai MPV for India will rival mainly the Maruti Ertiga and the Honda Mobilio. It is likely to be launched in mid-2017 and will engine options with the current Verna. Expect the prices to start at roughly INR 6.6 lakhs. Not much more is known about the upcoming Hyundai Compact MPV for India but watch this space for more details. The Hyundai Verna has suffered since the advent of new Honda City and Maruti Ciaz. The Verna, which got a facelift last year, hasn’t really been doing too good on the sales chart and hence, Hyundai has started readying the new-generation Verna that is likely to be launched in late 2017. The new Hyundai Verna carries a new look, more premium interior, more powerful engines and several new features. While the new Verna could continue to be sold with current 1.4-liter and 1.6-litre petrol and diesel engine options, these are sure to get a re-tune. 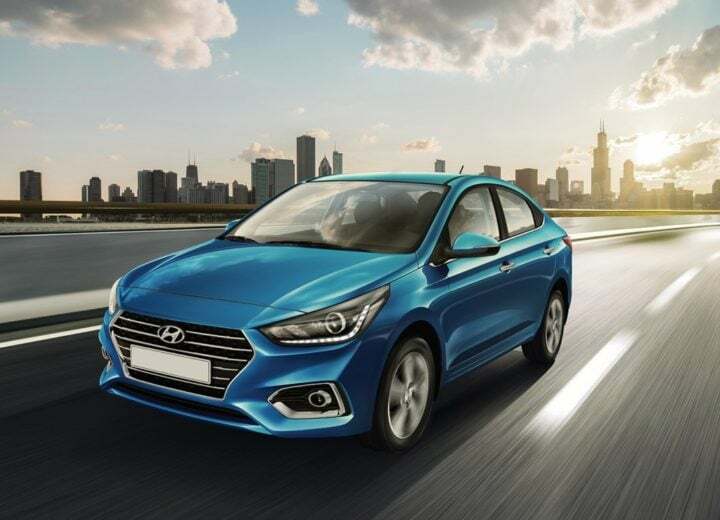 The new Hyundai Verna could also get a 1.0-litre, 3-cylinder, 120 BHP turbo petrol engine that will also power the Carlino compact SUV. The Sonata too is making a comeback! Hyundai showcased the Sonata hybrid at the Auto Expo 2016. And now the manufacturer has planned to launch the all-new Sonata PHEV in Indian car market. 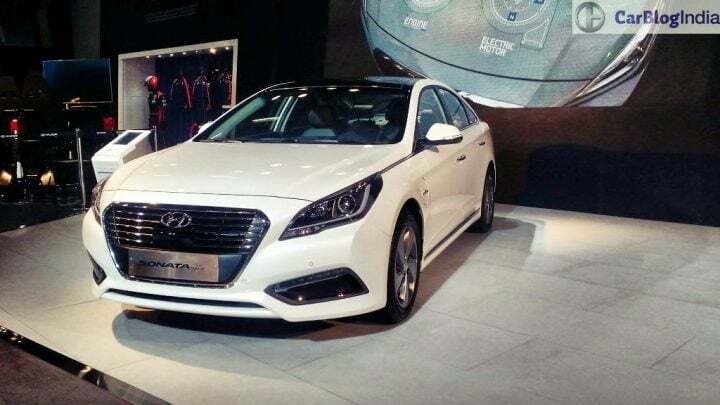 The Sonata is already a well-known nameplate in the Indian market, which should serve as an advantage to Hyundai. The new Sonata takes design cues from the Genesis and comes with many best-in-class features. Powering it is a 2.0-litre “Nu” GDI 4-cylinder engine that come coupled to a 38 kW electric motor. The 2017 Hyundai Sonata Hybrid could be launched at a base price of INR 23 Lakhs. The Hyundai Santa Fe too is up for a makeover. Already one of the most modern-looking cars in its segment, the facelift makes the styling even sharper. The interior now gets more features and the engine could get a small re-tune. Pricing will be more or less the same. 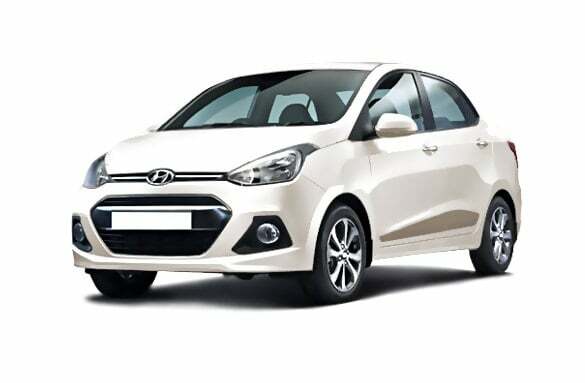 Hyundai has been readying a refreshed Eon that should be launched around this year’s festive season. It maybe noted that the Eon has almost failed to leave a dent on the Alto‘s sales performance. However, there is no denying that Eon’s exterior design and its feature-rich interior has a premium touch to it. Now, with the new Hyundai Eon facelift, the manufacturer could be trying to hog some limelight away from the launched Datsun Redi Go and the Renault Kwid. Yes, Hyundai could open gates to a new segment with its i30 premium hatchback. Expected to be priced at par with the Verna, the i30 will become a decent alternative to its sedan sibling. The Hyundai i30 India launch is might take place in 2017-end and prices could start at Rs 9.5 Lakhs. Also, engines for India could the 1.4-litre Petrol and Diesel units from Verna. However, the Indian market is not mature enough for large hatchbacks like the i30. Hyundai might not launch it in India before 2018. Hyundai is likely to launch a compact SUV based on the Elite i20 in India. This compact SUV will share its platform and engine with the popular hatchback. It will have a modern design with a very bold and aggressive stance. Prices could start at Rs 6 lakh while launch date is likely to fall in mid-July, 2018. In 2018, Hyundai could introduce a facelifted Creta in India. 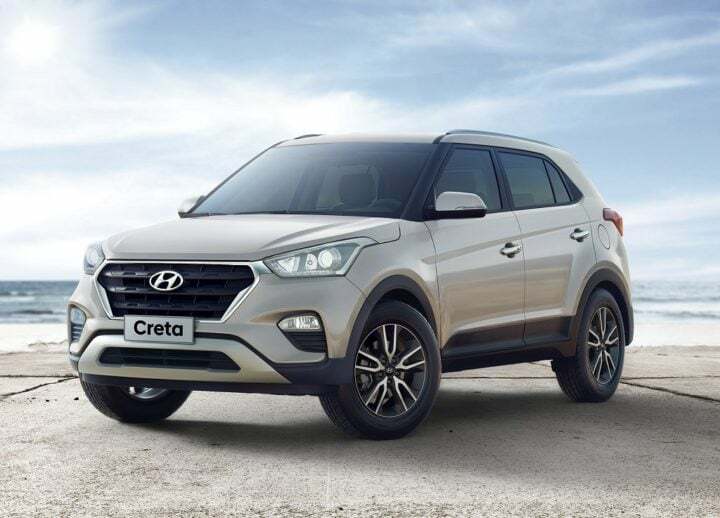 The updates to the Creta will be purely cosmetic. It could resemble the Brazil-spec model and will get Hyundai’s new signature grille design. Engine options are likely to remain the same. Hyundai could add new features as well. Hyundai is likely to showcase an electric sedan concept at the Auto Expo 2018. 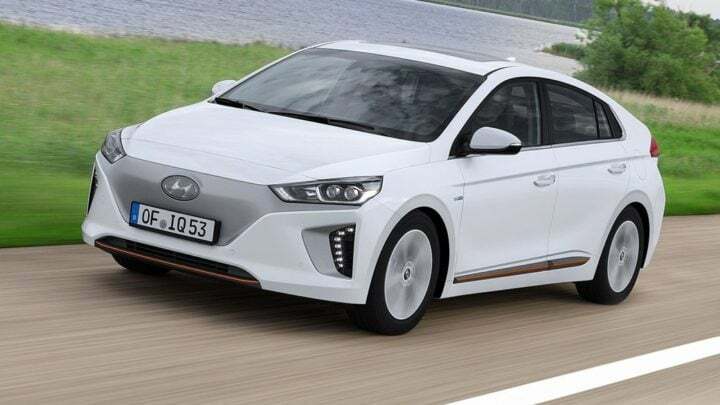 While launch and price details are too sketchy at the moment, it’s pretty much for sure that the Korean auto giant is planning to launch a range of EVs in India. The company unveiled the Ioniq electric sedan this year and an electric version of its trending SUV, the Kona, at 2017 Geneva Motor Show. However, none of these is India-bound. Instead, the company is developing a range of low-cost EVs for price-sensitive markets like that of our country. In India, the electric sedan will rival the likes of Mahindra e-Verito and Tata Tigor electric. The new Hyundai Xcent Prime is a taxi-only model. 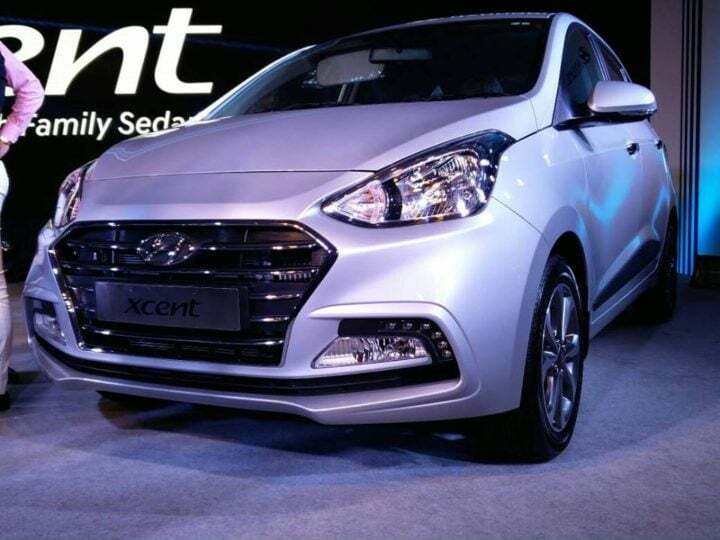 Basically, it’s the pre-facelift Xcent that has been given a new name and made available only for commercial registration. Unlike the new Xcent, which gets a new 1.2-litre Diesel engine, the Prime carries over the 1.1-litre U2 CRDi Diesel engine from the older Xcent. Prices start at Rs 5.45 lakh. Along with the launch of the Grand i10 facelift, Hyundai has also come up with similar updates for the Xcent. The compact sedan features a new front end and more features for the interior. 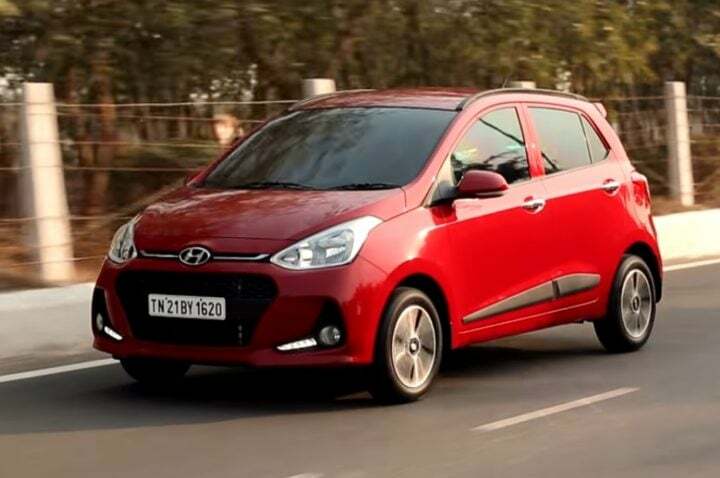 Most of the changes made to the Grand i10 have trickled down to the Xcent as well. It gets a new grille and bumpers. The rear end also gets a set of new taillights. 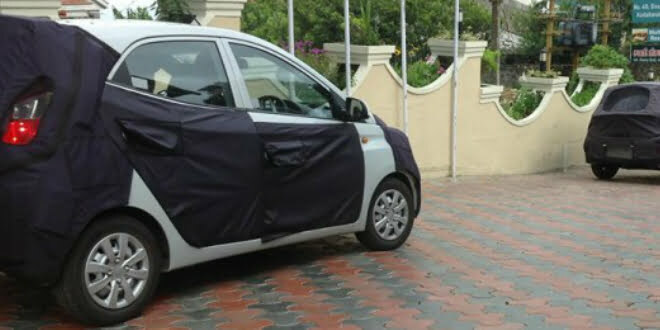 The Hyundai Grand i10 has just get a facelift. The 2017 Hyundai Grand i10 facelift will rival the 2017 Maruti Swift. It gets some styling cues from the Euro-spec 2017 Hyundai i10 that made its debut last year. Also, the 2017 Hyundai Grand i10 facelift gets a new Diesel engine and additional features. Another Hyundai nameplate has made a re-entry this year. 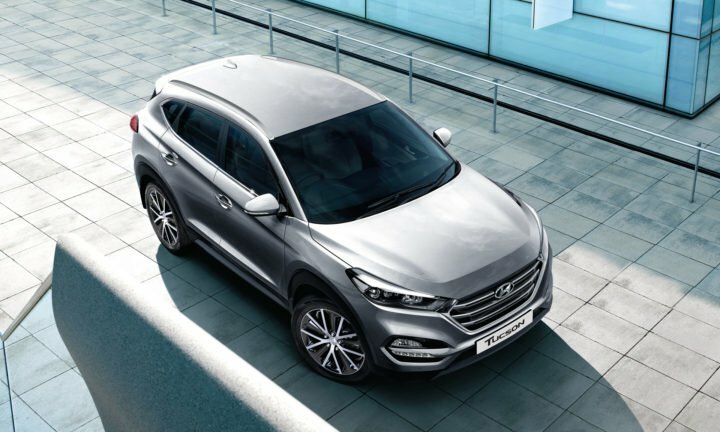 The new Tucson has a radical design, both for the interior and the exterior. It looks really modern and should appeal to SUV buyers looking for something bigger than the Creta. The third-generation Tucson is powered by a 2.0-litre CRDi Diesel engine that makes 185 PS of max. power and 400 Nm of peak torque. There is also a 155 PS 2.0 L petrol on offer. The interior of the new Hyundai Tucson for India is high on comfort and features. It undercut’s the Honda CRV‘s price by a considerable margin. 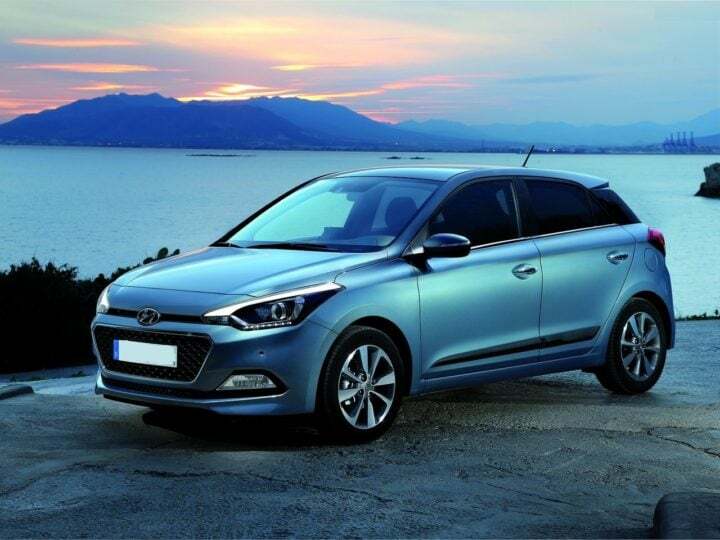 Hyundai recently added an automatic variant to the Elite i20 lineup. The hatchback’s major rivals like Maruti Baleno and Honda Jazz already had petrol automatic variants. 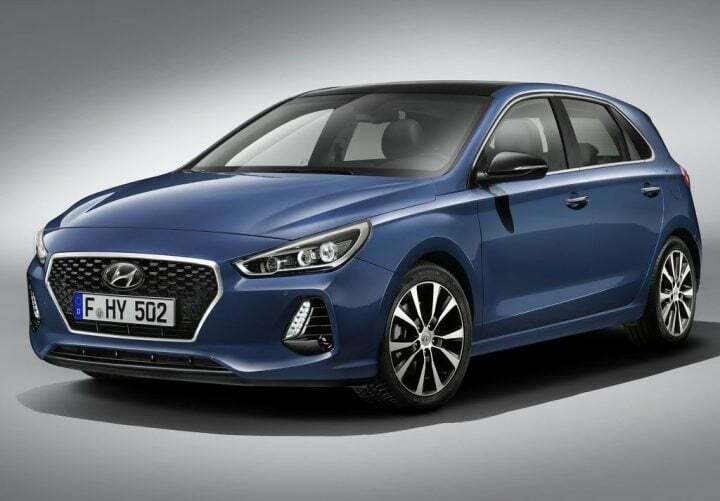 Hyundai’s move to equip the i20 automatic with a 1.4-litre petrol engine mated to a 4-speed automatic transmission should help the Elite i20 increase its foothold in the segment. The 1.4 L Petrol churns out 100 PS and 132 Nm. It is currently only available in the mid-spec Magna trim at Rs. 9.02 lakh (ex showroom Delhi). Hyundai launched the new sixth generation Elantra in India in August 2016. The sedan comes with a new 2.0-litre petrol engine while the 1.6-litre Diesel comes from the model it replaces. Prices start at just Rs. 12.99 lakhs (ex-showroom, New Delhi) for the base petrol engine. Hyundai Elantra Diesel starts at Rs. 14.79 lakhs. The car comes with a long list of features and the diesel variants boast a best-in-class-mileage of 22.5 kmpl. 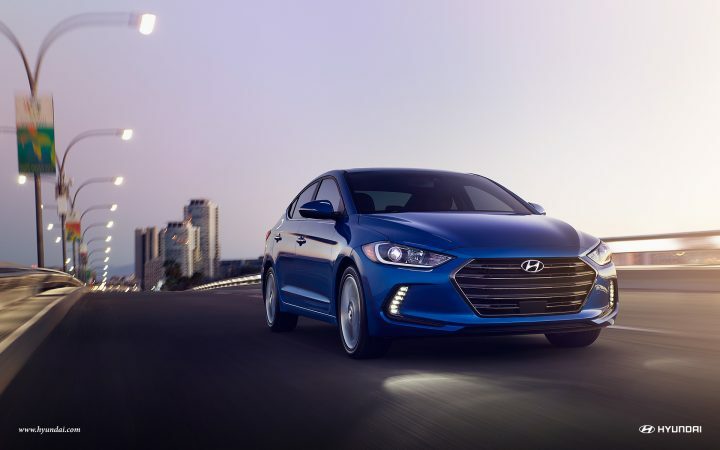 You can read our review of the new 2016 Hyundai Elantra HERE. 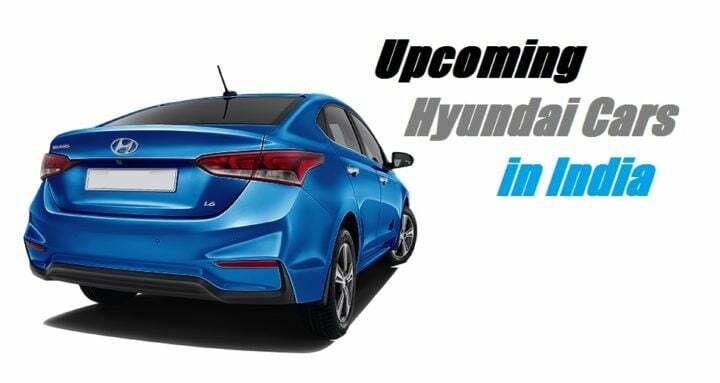 So stay tuned to Car Blog India for more on upcoming new Hyundai Cars in India 2017 & 2018. And do let us know what you think about these upcoming new Hyundai cars in India. 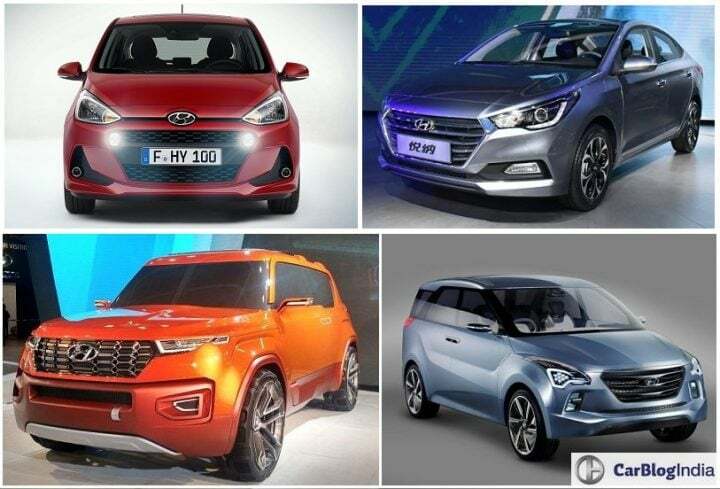 Also, which of these upcoming new Hyundai cars interests you the most? 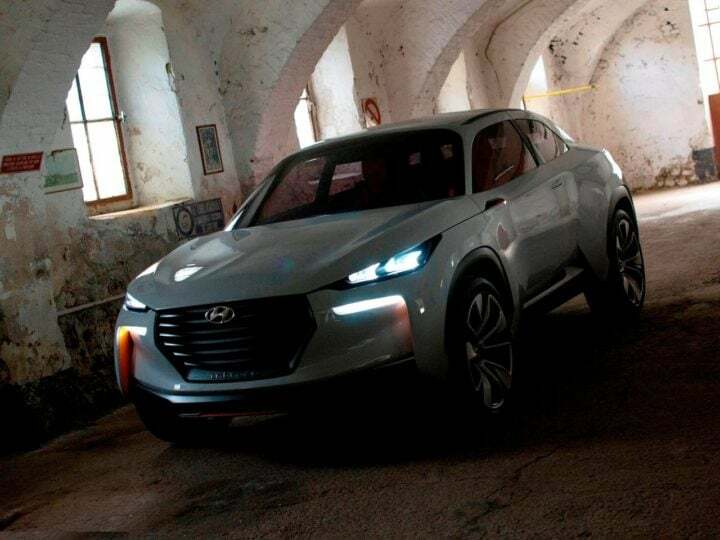 Do share your views by penning them down in the commenting about upcoming new Hyundai cars below.